It can take months, years, even decades for an employment lawsuit to come to fruition and get resolved. There are many different reasons. In some cases, an employee will put up with misconduct or violations until they are terminated . Some cases require intensive investigations and an extended discovery process. 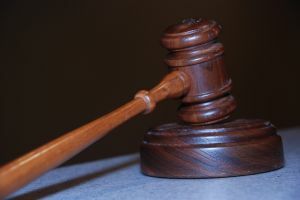 Other cases will go through rounds of attempted negotiations and settlements before finally getting to a trial and eventually, a jury verdict. Defendants may wonder what is the best course of action for their case? Should they accept a settlement offer? Is it worth it to fight a case through trial and jury verdict? Every case is unique and should be reviewed by an experienced employment law attorney. Our Orange County employment law attorneys will take the time to review allegations of misconduct or unlawful labor practices and determine the best legal course of action. In general, here are some benefits to settlement versus litigation. Quicker resolution. A settlement usually means a quicker resolution. If parties can reach a settlement agreement before going to court, they will likely spend less time and money on the case. For employees, the benefit of settlement is immediate compensation and the ability to move forward after a dispute. Less costly. In addition to a quicker resolution and quick payout, plaintiffs will not have to pay additional fees for the expenses of litigation and court. When a civil case goes to court, the legal costs can rise significantly. The longer a case lasts the more expensive it becomes, so both parties have an incentive to settle. Contingency arrangements can minimize the risk of costs, whether a case is settled or goes to trial. Less publicity. Filing a civil complaint makes the facts of your case public. For plaintiffs, keeping the details of a case away from public view may be an additional benefit to settling out of court. Companies will also have an incentive to settle an employment case out of court to ensure discretion, maintain morale, and prevent additional lawsuits. Reduced risk. Taking a case to trial is always risky. Regardless of the evidence on the table, there is always a risk that the plaintiff may lose the case entirely. Taking a settlement offer early on can prevent total loss in an employment law case. When determining the potential for success, an experienced attorney can review facts and evidence to make a final decision on whether trial is worth the risk. If a defendant company is not willing to settle an employment dispute, filing a lawsuit is the best course of action. While a jury verdict can take time, an experienced advocate should be able to present necessary evidence to make a compelling and successful case to the jury. In a recent case, a victim of discrimination recovered $1.13 million by jury verdict. While waiting for a trial can take years, the payout is often worth it, especially if a company refuses to settle. Some cases will ultimately settle even after a lawsuit is files and enters the litigation process, as companies do not want to invest in their own defense.